Having recently visiting TGI’s on Newport Road, for a birthday bash, we couldn’t resist trying a few of the new appetizers from the menu. Before the appetizers arrived we had the difficult choice of choosing a cocktail from the menu. 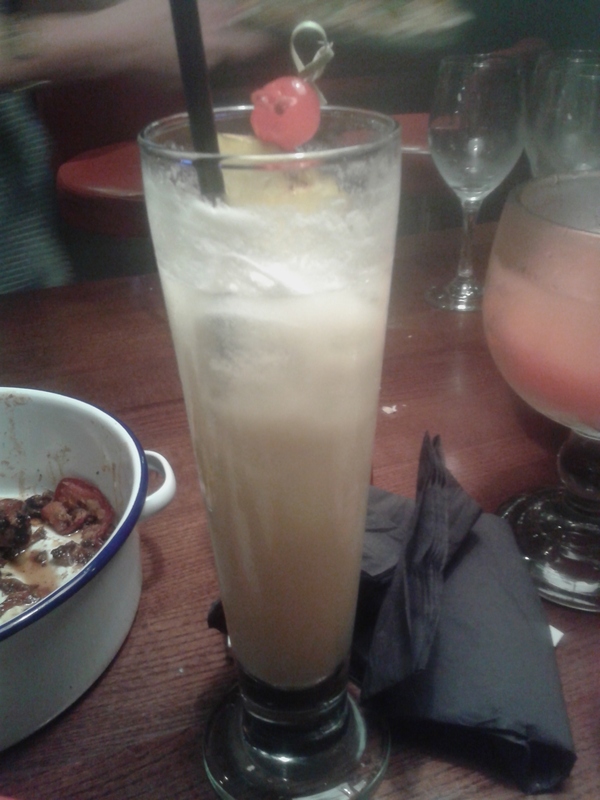 I am the most indecisive person when it comes to making a choice but in the end I settled for a Pina Colada. The tables were filled with groups of friends, families and a few small children which made me think I could have brought my own. There aren’t many places that welcome small children after a certain time so this place gets my vote for being family orientated and friendly. 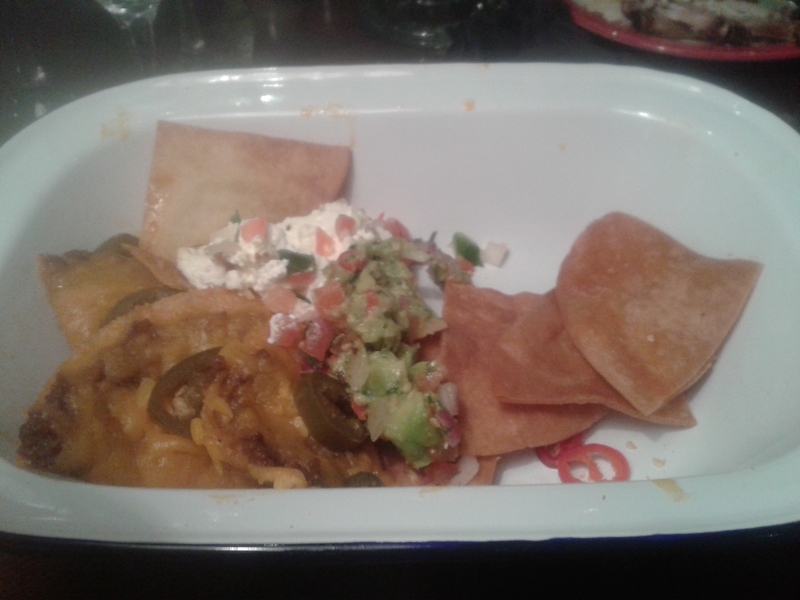 After a few sips of my very sweet cocktail the first appetizer, Jack Daniels Chilli Nacho’s arrived. Intrigued by the name and intrigued by the taste. 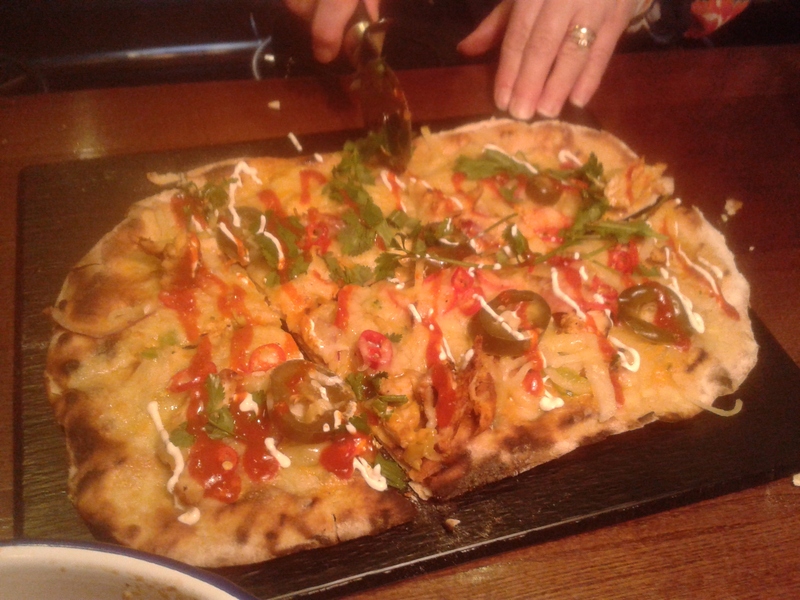 This comes with a variety of toppings including salsa, guacamole, sour cream, jalapenos and of course Jack Daniels. If you are a nacho fan this dish is definitely for you. They are also not shy on the amount served. This alone can be very filling. 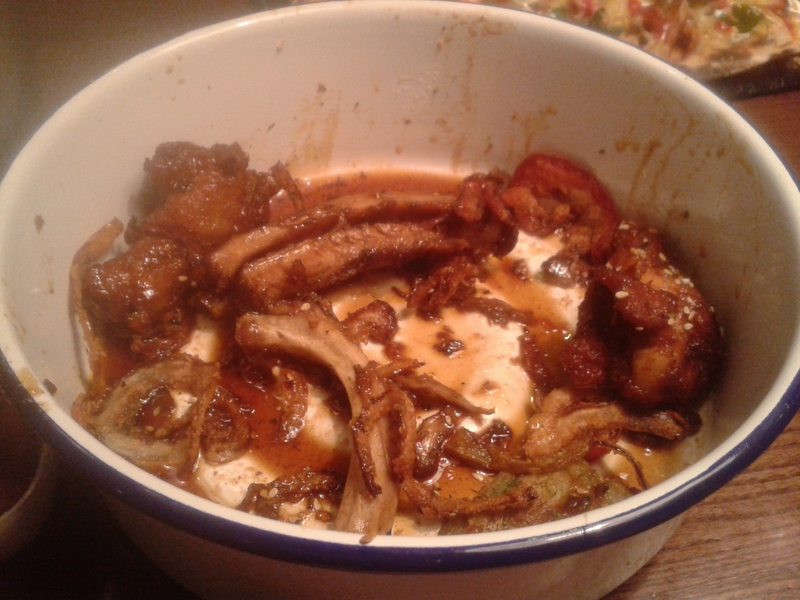 The second appetizer, Bucket of Bones, was absolutely delicious. As you can see from the image, by the time the picture was taken the dish had almost been eaten. It may not look the prettiest appetizer but this really is the tastiest meat dish I have tried in a long while. Our third and final appetizer was the Creole Chicken Flatbread. It looked amazing and tasted equally as good. This was extremely filling that I could only manage one slice. I have to say this alone would make a great meal or a dish to share. I love pizza but I no longer enjoy it when it’s overloaded with cheese. This dish reminded me of pizza without the cheese topping so was the perfect combination for me. TGI’s is a great place to socialize and have a few cocktails along with a few appetizers. It’s also perfect for families and definitely gets the thumbs up for being warm and friendly.